United Regional is a comprehensive health care system offering advanced technologies, a broad spectrum of medical and surgical services normally associated with larger metropolitan areas, and a level of quality unmatched in the region. 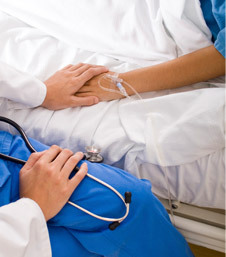 Our passion is to provide excellence in health care for the communities we serve. Thank you for choosing United Regional for your health care needs. We want our patients and their loved ones to have the information they need before and during their hospital stay; so we have created this section for you. If you need additional information, please do not hesitate to contact us at contact@unitedregional.org. We want every patient’s hospital stay to be as comfortable and convenient as possible.